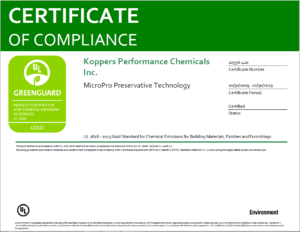 The Koppers MicroPro wood preservative system (previously known Osmose MicroPro) is based on micronized copper and quaternary compounds. Wood pressure treated with MicroPro technology offers many benefits. MicroPro pressure treated wood is lighter in colour compared to current copper based treated products. 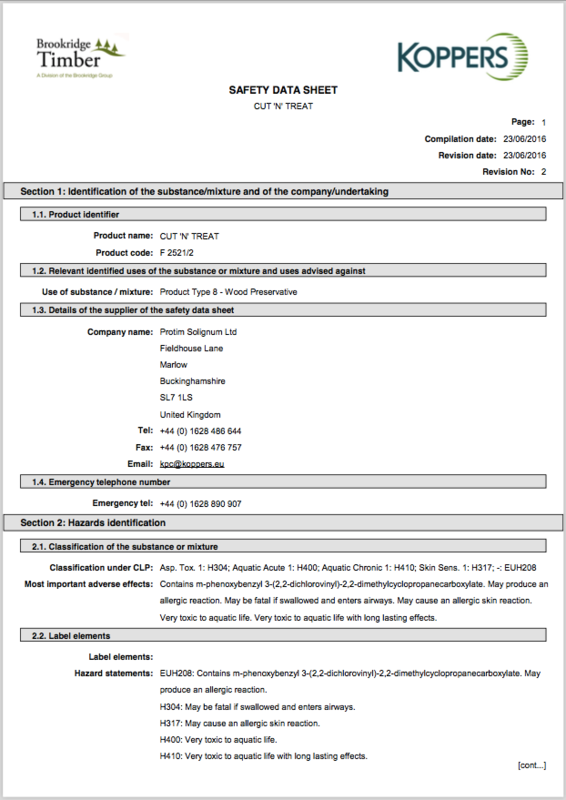 The unique appearance will help differentiate the product in the market place. The attractive colour allows DIY enthusiasts and contractors to build with treated timber that appears lighter, fresher, and more natural in appearance. 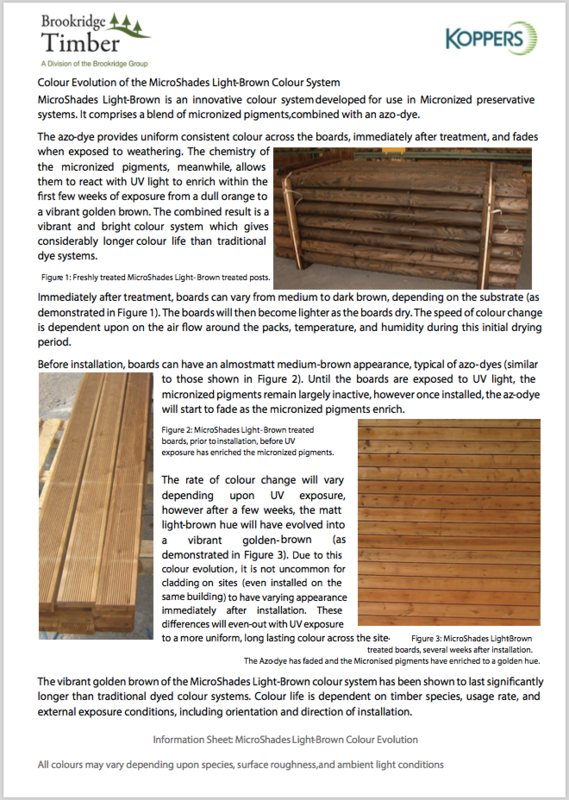 MicroPro pressure treated wood products can also be available in an attractive brown colour when produced in conjunction with the MicroShades colour pigment system. 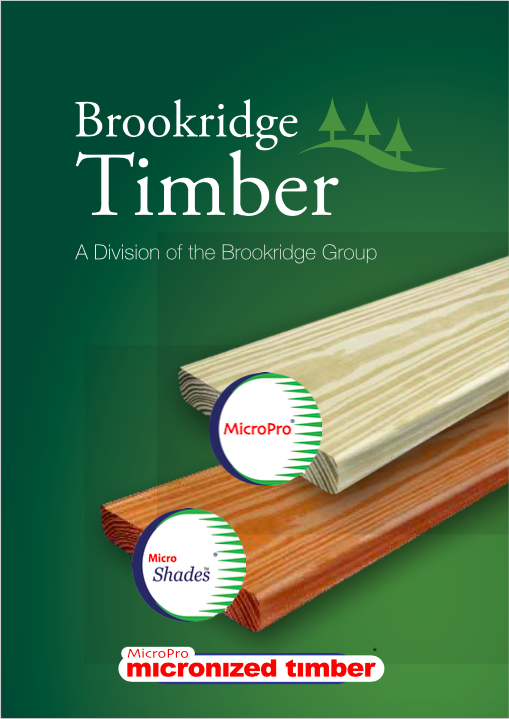 Brookridge Timber Products can provide a 15-30 year warranty on our MicroPro micronized products by working closely with Koppers to ensure our standards and treatment process remains at the highest levels, and are compliant with BS 8417 standards. 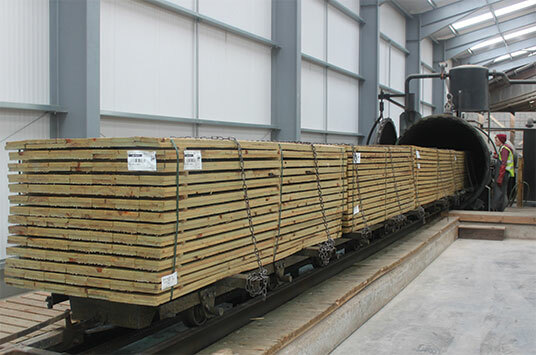 At Brookridge Timber Products, great emphasis is put on establishing every customer’s intended end use of timber products at initial point of contact. 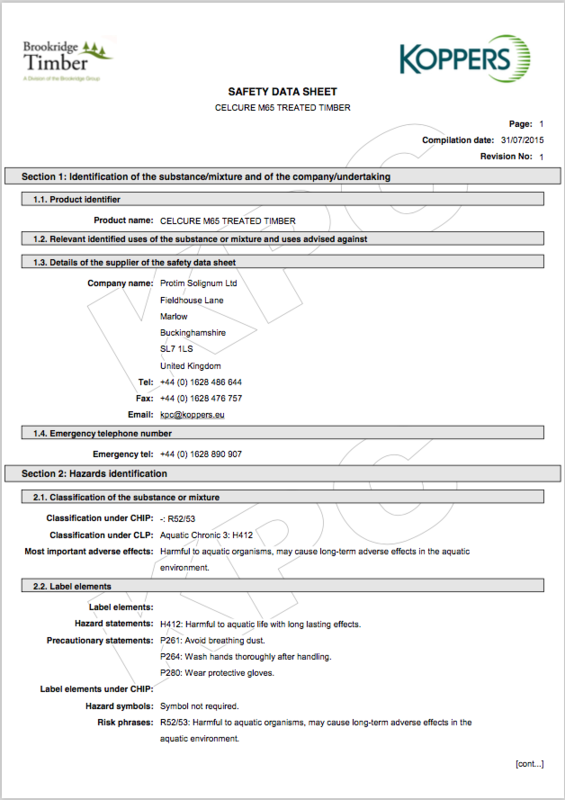 This facilitates correct species selection and pressure treatment cycle to ensure the timber supplied is fit for purpose. 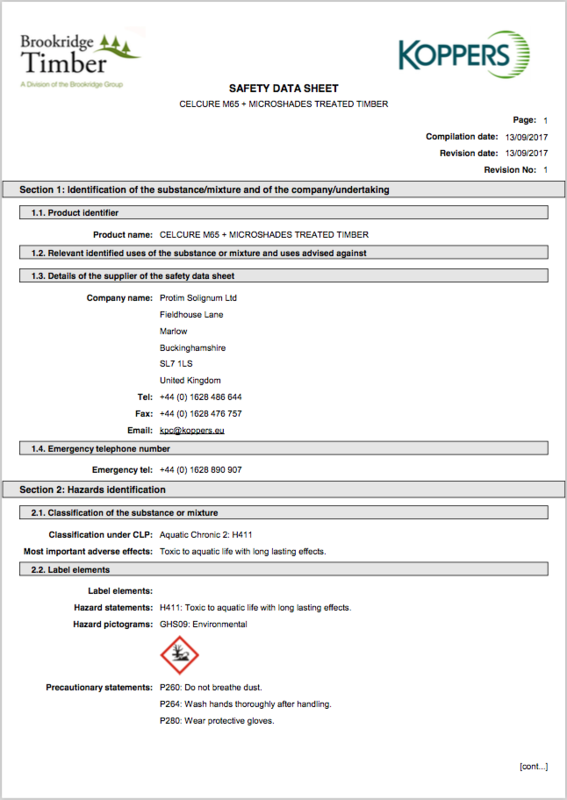 Unlike current preservative formulations the MicroPro technology introduces the copper into the timber cells in a micronized solid format.